Who says Android slates do not have good profit margins? While this is probably true for 7-inch models such as Google's Nexus 7 or Amazon's Kindle Fire, it's not the case for premium tablets such as Samsung's new Galaxy Note 10.1. Market research firm IHS has estimated that the Note 10.1 (Wi-Fi-only version) costs around US$260 to make. This figure is slightly lower than the iPad (US$316). 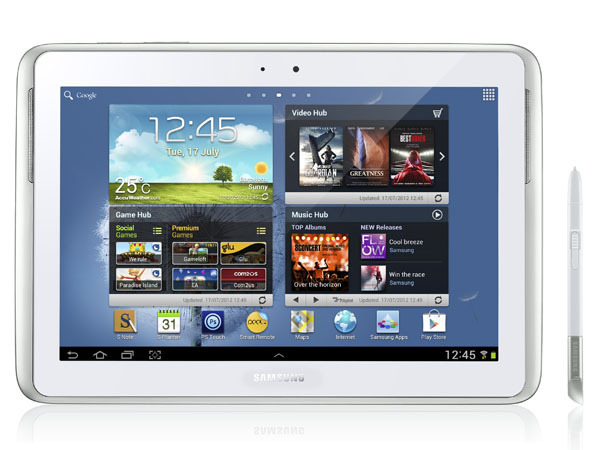 Both tablets, however, carry an identical US$499 price tag in the US, which means Samsung has a higher profit margin. The LTE version of the Note 10.1 reportedly commands an even higher margin--despite a production cost estimated at US$293, it's sold at around US$640. While the huge volume of Apple's products means that the company is able to secure favorable pricing for many of the internal components used in its gadgets, Samsung's edge is that the Korean chaebol is self-sufficient. For instance, the screen, processor, RAM and battery of the Note 10.1 are manufactured by Samsung. The design is also similar to the company's Galaxy Tab 2 10.1, which lowers the cost of development. However, IHS also noted that none of Apple's rivals have managed to compete against the iPad without a discount and predicts that Samsung may eventually have to do the same for the Note 10.1. Judging by the comments here, the relatively high price of the Galaxy Note 10.1 in Singapore--it costs more than the US retail price--has already struck a nerve among some of our readers. While we may never know the actual cost of the tablet--IHS' estimate doesn't include software development--this information may further convince Singaporean consumers that they are not getting a good deal.